It is our great honour and pleasure to announce the Second Edition of the National Conference on Cellular Materials (MatCel’2017) along with the International Conference of Dynamic Behaviour of Cellular Materials (DynMatCel’2017), organised by the University of Aveiro and the University of Minho. 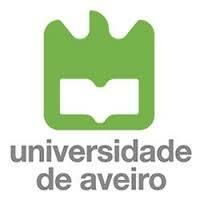 Both conferences will be held in the beautiful city of Aveiro, Portugal, from September 25 to 27, 2017. These conferences will be dedicated to low-density cellular materials with multifunctional attributes that make them appealing for numerous uses, including energy absorption (crash protection), lightweight structural sandwich panels (as the core material), vibration damping devices and thermal and acoustic insulation. They are fabricated by a range of processing techniques (e.g. Powder Metallurgy and 3D Printing) and are available as stochastic foams (closed-cell, open-cell and syntactic foams), hollow-spheres, periodic and optimized truss structures, and honeycombs. It is a great opportunity for researchers and professionals from Portugal and all over the world to present the latest researches and developments, exchanging and discussing ideas and experiences in this field, covering experimental, numerical and theoretical investigations, safety and design of structures. Both conferences are sponsored by the Portuguese Society of Materials (SPM), DYMAT Association and GRIDS. You are strongly encouraged to participate and submit papers. All authors will be invited to submit papers to a special issue to the Journal of the Portuguese Society of Materials (SPM), Ciência & Tecnologia dos Materiais (ISSN 0870-8312; http://www.journals.elsevier.com/ciencia-and-tecnologia-dos-materiais) which is published by Elsevier and is on Science Direct. We are looking forward to seeing you in Aveiro in September 2017.